1. Heat oven to 400º. On a baking sheet lined with parchment paper, place tilapia fillets. Sprinkle seasonings and salt on top of the filets, rubbing seasonings in to cover the top of the tilapia. 2. Bake fish for 13 minutes, or until cooked through, but not overcooked. During the last 5 minutes of baking, wrap the soft taco shells in parchment paper then aluminum foil, and place in on the baking sheet to warm up with the tilapia. 3. Remove baking sheet from oven, leaving taco shells in their package until ready to serve. Using two forks, shred tilapia. 4. To make Green Drizzle: add ingredients into a small food processor or chopper. Blend until smooth. If needed, thin out with a little more water or olive oil. 5. To make street tacos, put 2 tablespoons of tilapia in the center of each soft taco shell. Top with shredded purple cabbage, crumbled cheese, Green Drizzle, and anything else the family loves! Enjoy. 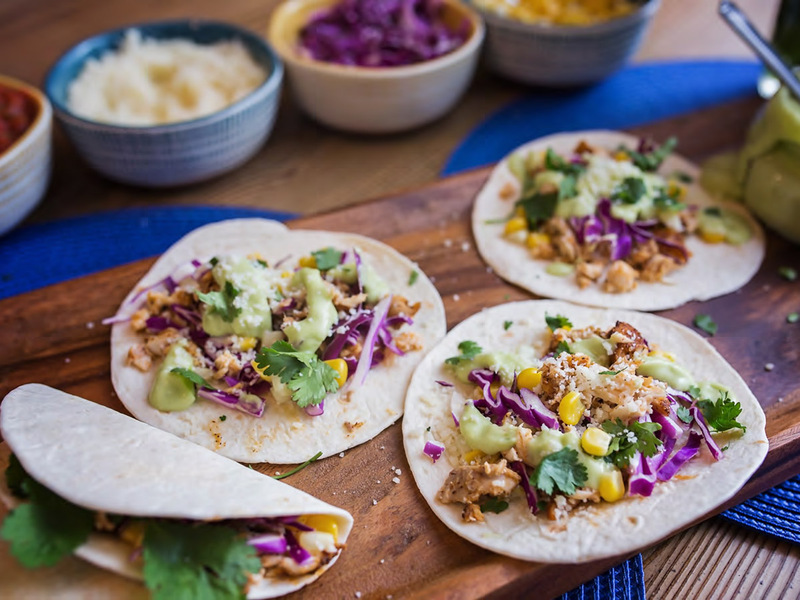 These fish street tacos are so delicious your kids will ask for them over and over! While the recipe calls for tilapia, they can be made with any flaky white fish using the same instructions.